The New Room (John Wesley’s Chapel) in Bristol has been awarded a grant of £2.5 million from the Heritage Lottery Fund (HLF). The historic 276-year-old Grade 1 listed building, in The Horsefair, is known as “the cradle of Methodism”. In 1739, preacher and priest John Wesley bought a plot of land to build a meeting room for those who were responding to his message of faith and social justice. The New Room, as Wesley called it, was the starting point for the growth of the Methodist Church, which currently has 75 million members around the world. The grant from the HLF, alongside a grant of £1.4 million from the Bristol Methodist District, will enable the existing facilities to be updated. The trustees are planning to create a new three-storey building in the Horsefair Courtyard. 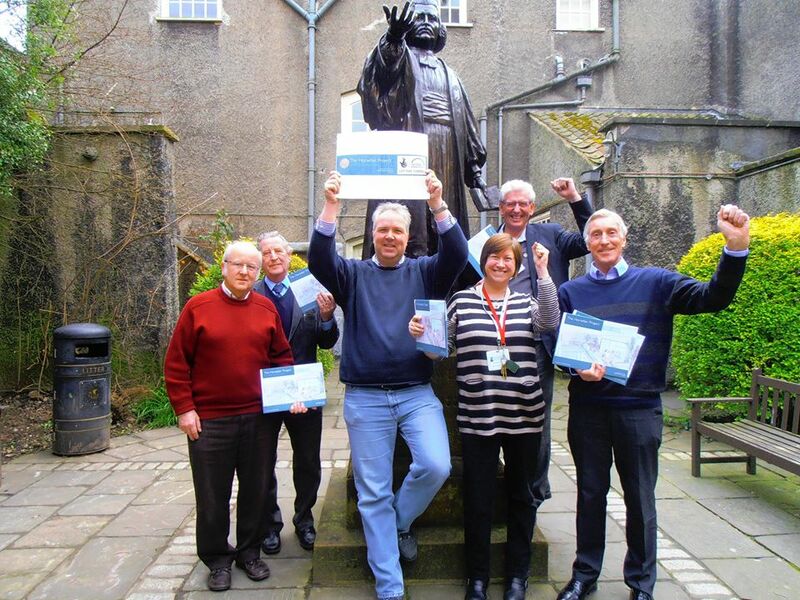 Rev Ward Jones, Chair of the New Room Trustees and the Bristol Methodist District, said: “We are delighted that the Heritage Lottery Fund has awarded us this significant grant. The New Room has been situated in the heart of Bristol for over 275 years and we now have the chance to look to the future in a very exciting way. “We will be able to upgrade our current facilities so that we can properly welcome and inform visitors from the local area, from schools and colleges, and from all over the world. Gary Best, historian and volunteer Warden at the New Room, has been in charge of developing the scheme, known as the Horsefair Project. He will be supervising the creation of the new museum. He said: “The new museum has many interesting stories to tell, regardless of whether a visitor is religious or not. It will show not just how important Bristol was to the early Methodist movement and how that movement spread, but also how John Wesley tackled many issues that are still applicable today, such as consumerism, the gap between rich and poor, slavery and the role of women. “Methodism’s emphasis on empowering individuals and demanding social justice was a key influence on the demand for liberty in America and the creation of trade unions and the Labour Party in Britain. Its influence was also important on a number of social reform movements. The HLF grant will enable the existing museum to be enlarged. It is currently housed in the 18th century rooms used by John and Charles Wesley and many of the early Methodist preachers. The ground floor of the new building will feature a shop and a café for visitors. On levels 2 and 3 there will be a large multi-media lecture and education room for up to 60 people, an extensive resource library on Methodist history, an archives room and offices. A lift will connect the floors and the existing museum will be completely revamped to reflect John Wesley’s work in Bristol, in 18th century Britain, and around the world. The interior of the chapel, an architectural gem, will not be changed. The new building has been designed by Purcell and it will be linked to the existing New Room building by a glass roof. It has been designed so that it does not adversely affect either the New Room or the streetscape, by following the pattern of the buildings that used to exist in the New Room courtyard until they were demolished in the 1940s. Planning permission and listed building consent have both been obtained for the project. It is envisaged that, subject to meeting planning conditions, building work will begin in autumn 2015. More information about the New Room in Bristol can be found on their website at www.newroombristol.org.uk.